The current house is the result of a comprehensive refurbishment of the pre-existing building which has preserved the noble façade of stone and openwork carved in the rock of the subsoil. It has a dining room, private lounge, kitchen and bright central courtyard. Located in Ábalos, a pretty village in Rioja Alta, featuring many mansions, Church with a plateresque façade and several chapels, among which is the Romanesque San Felices. A wine village, it has many family wine cellars and other commercial ones. Some have 600 years of winery tradition). 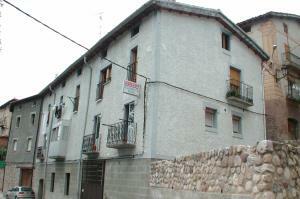 Old 19th century house, which based on the structure of a typical peasant house of the area, it has been renovated for tourist purposes, conserving its two storeys and attic, here called"cambra". Restaurant open to the public. The house opened at Easter 2011, has five spacious rooms (all with bathroom). One of them a Suite with a hydromassage bathtub, gym, sauna and extra bed; three rooms are double and also have extra beds, and the last is single. With very affordable prices (anti-crisis). The possibility of breakfasts, lunches and dinners is available for guests. Specialising in local and Basque cuisine. 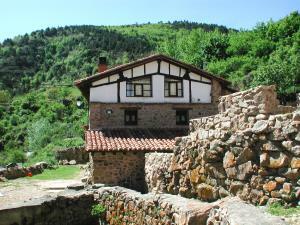 Casa Rural Cruz is in Sierra de Alcarama, full of contrasts and privileged surroundings. Meeting point of three provinces: La Rioja, Navarra and Soria. 1 km from the impressive ruins of one of the best preserved celtiberian cities. And in the village, the Visitor Centre. 50m from the River Alhama, 50m from Fauna Halcón with a variety of hawks, eagles, etc., all this in an environment of a world biosphere reserve (Alhama Linares) and from the house you can follow a Via Verde all the way. Looking forward to seeing you!!!!! • Guided visits by the archaeologist Contrebia Leucade. • Different itineraries such as: Navajún, Gutur, Monegro, El Cajo, Valdemadera, Cigudosa, San Felices, La llana, Inestrillas or Contrebia-Leucade. • Parish Church of La Asunción. • The Route of the Dinosaurs. • Site of Virgen del Prado. La Antigua Bodega is a holiday cottage built on the site of an old Rioja wine cellar, which still conserves parts of the old winemaking system, such as the press, etc. It has 6 double rooms and 2 singles, all with their own bathroom and TV. Of these double rooms, 3 have hydromassage and 2 a balcony. In the village of Alcanadre you can visit the Church of Santa María (16th to 18th century), which consists of a single nave with chapels between buttresses, transept and tower from the 17th century. Inside, we must highlight the 16th century high altarpiece. 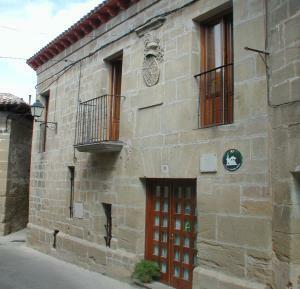 Holiday cottage in the centre of Alcanadre, La Rioja. Its most striking detail is its original bluish structure. Reception room, lounge, fully equipped kitchen, dining room, entertainment area and solarium. Viura, fully equipped with adaptation of bathroom and all services without architectural barriers. 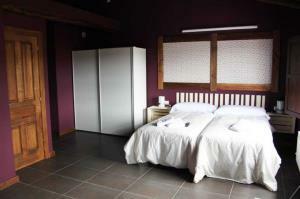 4 double rooms equipped with heating, TV, WI-FI and full bathroom. 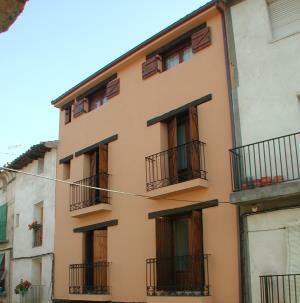 3 rooms; 2 double rooms and 1 spacious suite, original and rustic with heating, TV, WI-FI and full bathroom. Bar and restaurant service for breakfast, lunch and dinner with prior reservation. 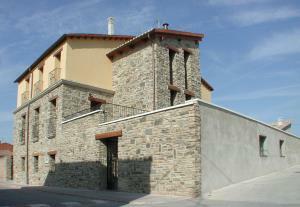 Lagos de San Isidro is a holiday cottage built on the site of a La Rioja wine cellar, which still conserves parts of the winemaking system, such as the press, etc. It has 5 double rooms, all with separate bathroom with hydromassage, TV. Two of these rooms have a small room where an extra bed can be added. In the village of Alcanadre, you can visit the Church of Santa María (16th to 18th century), which consists of a single nave with chapels between buttresses, transept and tower from the 17th century. Inside, we must highlight the 16th century high altarpiece. Between Alcanadre and Lodosa are the remains of an aqueduct that the Romans built, probably to supply water to Calahorra. It has 13 arches, measures 25 metres and has 30 buttresses. Urreci was a small village on the old Royal Road, which through Puerto de Piqueras, joined the North of Spain with Madrid and Extremadura. It seems that the primary business of the villagers was to give lodgings to travellers on that route. Legend has it that a jilted lover caused a fire that completely destroyed the village. It was then that the neighbours had to find another settlement on the Royal Road where to continue their activities. The "Aldea Nueva " -new village- is built at a strategic point on the river. And today Aldeanueva de Cameros remains practically unchanged. A handful of pastoral-style houses over two hundred years old, which have now been renovated forming with its two churches a small, very charming, little village. * High season: August, Easter and bank holidays/long weekends. Lunch and dinner available. 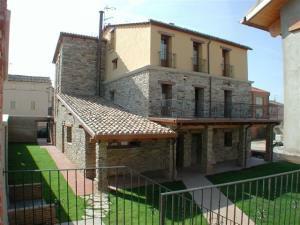 House with living room with fireplace and beautiful views to Najerilla Valley and Sierra de la Demanda. 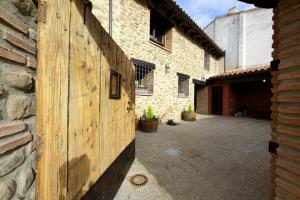 Located in the town, where you can find horse riding, swimming pool and sports facilities. 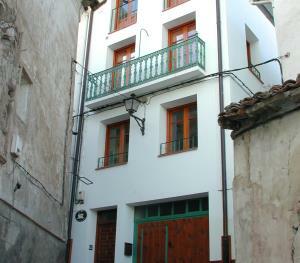 House situated in the centre of Arnedillo. It has a living room with fireplace and heating. 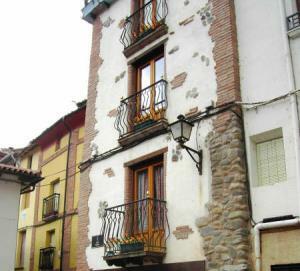 Close to hot springs and the Vía Verde where you can enjoy quiet walks or cycling. 60 km from Logroño. Arnedillo stands on the left bank of River Cidacos, where the Church of San Servando y San Germán stands, a large 16th century ashlar stone building. Hello, my name is Bel & eacute; n and I would like to welcome you to my home where stress will disappear completely from your life, simply listening to the murmur of the waters of the River Cidacos, amidst stunning scenery, Vía Verde for walking, safe cycling for children and hot open-air springs. Next to the house is a spa, as well as restaurants where you can enjoy exquisite La Rioja dishes and a very romantic natural landscape with many possibilities.